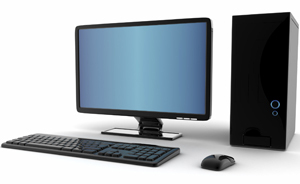 The amazing desktop computer buying guide tips and tricks. With the popularity of laptops, desktop computers have been widely dominated. However, they were the first computers to be used on planet and still they hold grounds on personal computing. This the window through which you will view what you are doing on your desktop and so you have to select a bigger one that is the best for media watching and that will also enhance multi tasking. This is the foundation of all the software of the computer. Currently there are three main options of Windows, Linux and Apple's OS X which you will have to choose from depending on what you intend to do with your desktop. This is the Central Processing Unit, which acts as the brain of your computer. In determining the best, you will have to analyze each by looking at their frequency/ speed, cache, cores and the brand. Also known as the RAM, the memory of the desktop is important in determining the performance and can be very useful when you are operating software that is so demanding; the bigger or larger the RAM, the greater the performance. This is where all your data is stored in the desktop. It does not have to be one and they vary in sizes so in case you have a lot to do, you can as well buy another one. This device enables you to play optical disks like CDs, DVDs and Blue Ray. It is also important in installation of various programs in your desktop.